Owned and loved by Cheryl & Curtiss Roberson. Co-owned by Geri Arnold & Audrey Caywood. 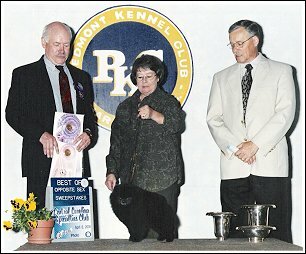 APC CLUB MARCH SPECIALITY 2008--Louisville, KY. 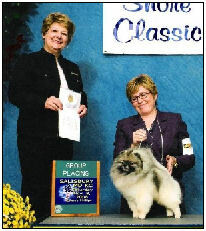 Winner of the Huge OPEN CLASS of 25 pom dogs. 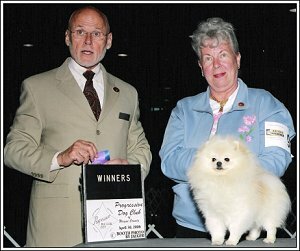 THUNDERBALL and Judge Mr. Herbert H. Rosen and the handler is Tony Cabrera. 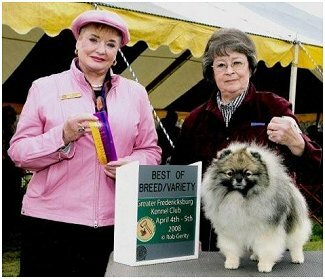 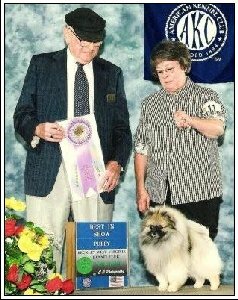 Huff & I ---taking BEST PUPPY IN SHOW--under Dr. Harry Smith---at the Beckley Kennel Club All Breed Show in Lewisburg, West Virginia. 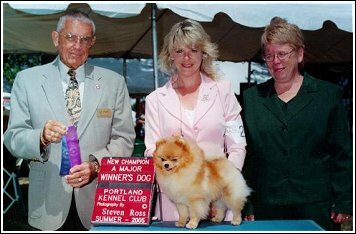 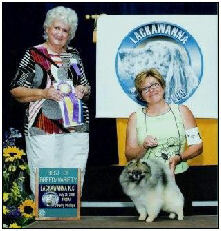 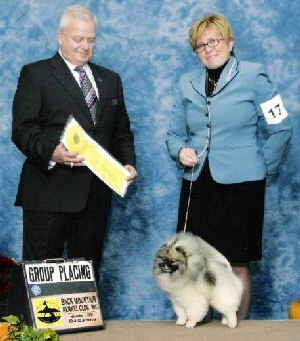 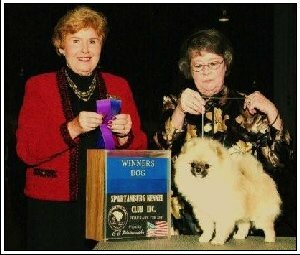 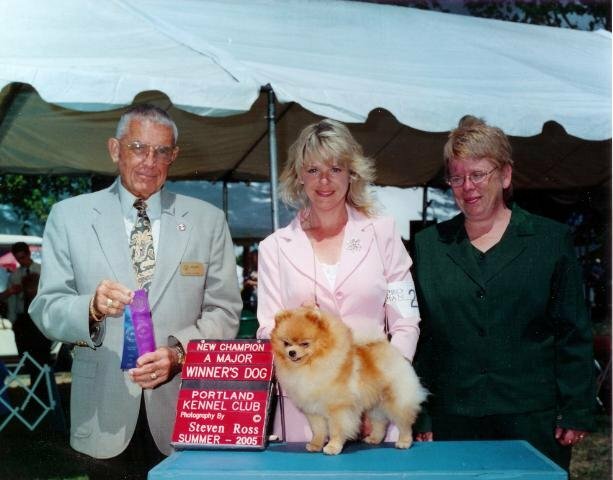 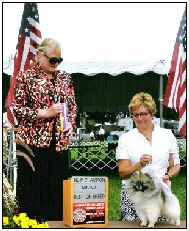 Huff--- Taking Winner's dog and Best Pomeranian Puppy under Judge Charles Trotter. 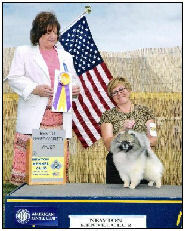 Judge Trotter also gave Huff BEST PUPPY IN TOY GROUP. 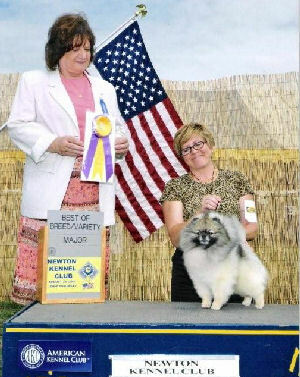 WD and first win for 2 points under Judge Mrs. Toddie Clark. 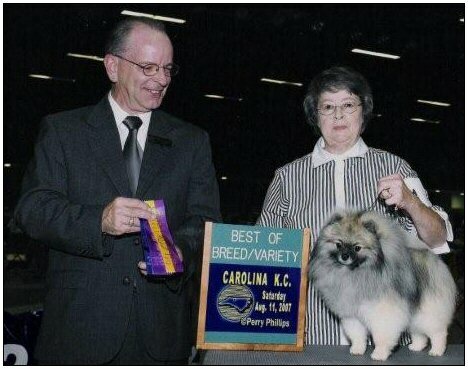 ---Greensville, SC. 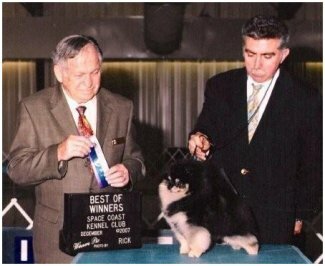 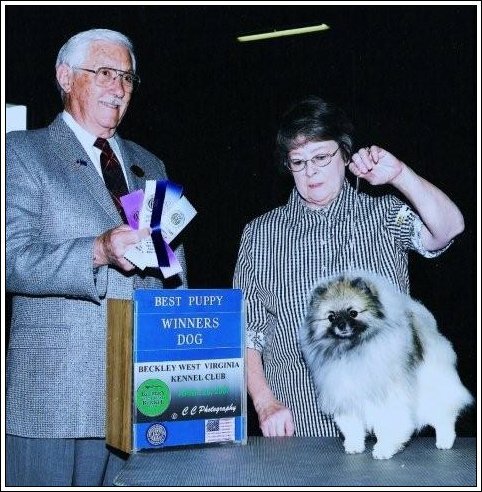 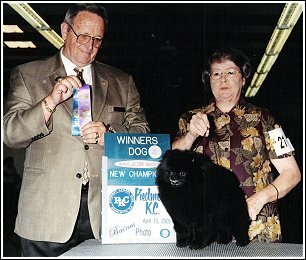 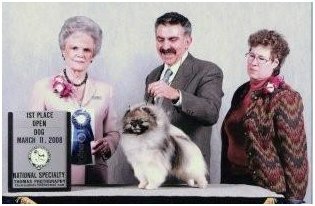 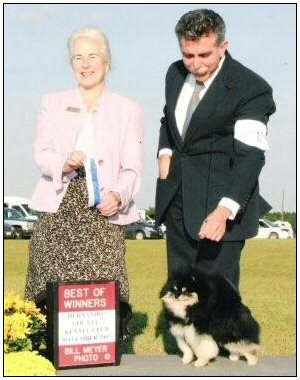 Jack, winning his Championship with a 4 point major at the Piedmont Kennel Club, Charlotte, N.C. Jack took WD & BOW under Judge William Cuttingham. 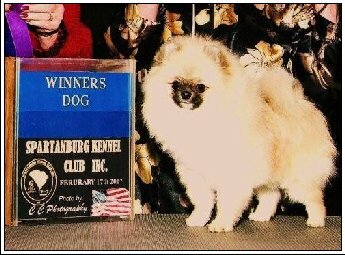 SHOWIN'S MIDNIGHT SPECIAL, winning Best Of Oposite to Best In Sweepstakes under Judge David Gilstrap, at the Central Carolina Pom Club, Charlotte, NC. 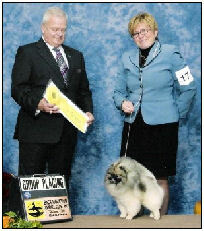 Jack also took RWD at the Pom Speciality. SHOWIN'S MIDNIGHT SPECIAL, winning WD & BOW for a 4 point major under Judge Sandra Goose Ellen. 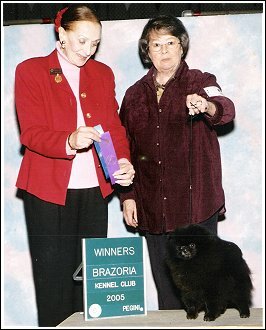 Jack had two majors back to back at the Brazoria Kennel Club Show in Houston, Tx. 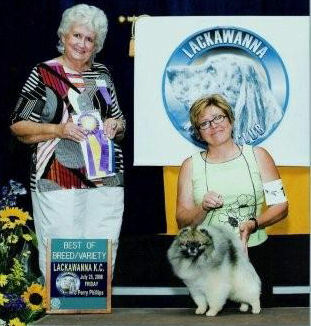 What a wonderful weekend with me handling! 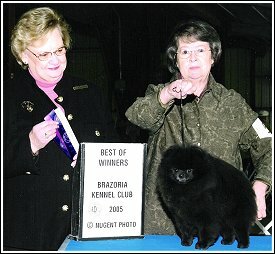 SHOWIN'S MIDNIGHT SPECIAL, Jack, winning WD & BOW for a 5 point major at the Brazoria Kennel Club in Houston, Tx. 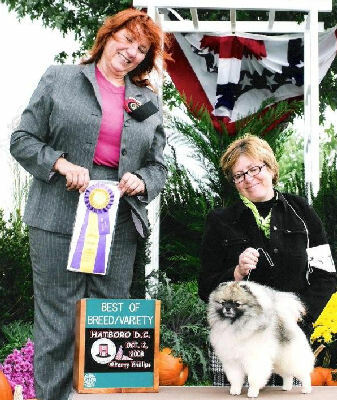 Many thanks to Judge Judy Webb for this great win!! Finishing with a 5 point major. 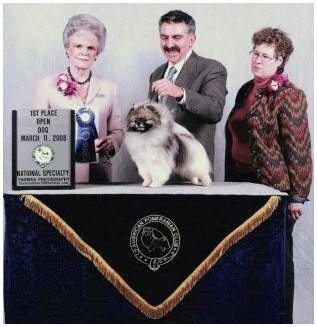 This site best viewed in 800x600 resolution.